And moving onto the first headliner for 2010, De/Vision. Not a band I’d heard much by, but the crowd certainly seemed to be enjoying their synthpop stylings. Good upbeat way to finish off the first night. Nice lighting on stage, but I wish I’d had something wider on the 30D as the band we pretty spaced out around the stage so was hard to get them all in from the stage edge. 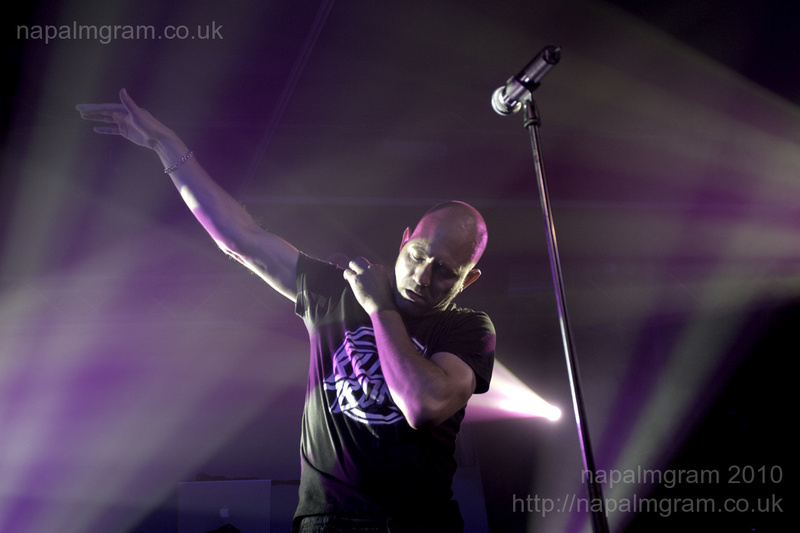 In other news, I’ve just been asked to submit some of my photos from Infest for publication. So here’s hoping they like what I’ve sent them. No names yet, just in case they don’t ;).